Here are a few of the most interesting GetYourGuide statistics and facts I was able to dig up. As always, be sure to check back in the future as I will be updating this post as new and updated stats become available. 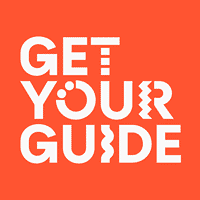 (source): GetYourGuide collects and categorizes all the world’s things to do so you research less and do more. Africa to Oceania and back again, we make it simple for you to find and book an activity that will make your trip — or your day.